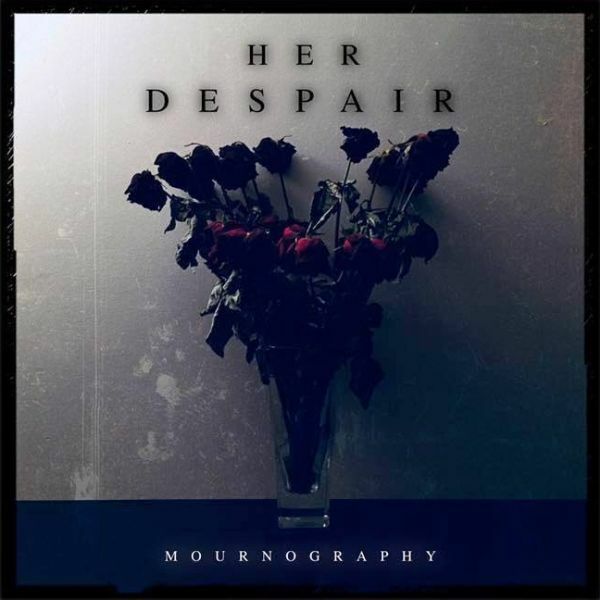 On July 20th 2018 UK goth/dark metal band Her Despair will release their new EP Mournography. Her Despair, formed in 2015, began as a solo project with the release of debut album Hymns For the Hopeless. Showcasing the melodramatic sound and aesthetic of gothic music with the accessibility of punk and the stylings of heavy metal, the solo studio project has subsequently evolved into the current full line-up. With nods toward fellow countrymen The Sisters of Mercy and Paradise Lost, to bands such as HIM and Rammstein, the band create their own unique twist on the styles that they are influenced by. Mournography is an exploration into the mysteries of tragedy, blasphemy, death, and love; both literally and figuratively. The mourning of some, the lust of others. These songs praise and pervert the Word of God simultaneously: providing a deeply unsettling spiritual experience set to a bleak backdrop of melancholia. From their location in Berkshire UK, the band is set to unleash new convocations upon locations which have included London, Oxford, Bournemouth and Reading. Continuing to expand their fan base throughout live performances, clouds of smoke and lights theatrically immerse the audience, providing a perfect setting to experience the compelling material. The dawn breaks on a new era of despair. Mourning has broken.